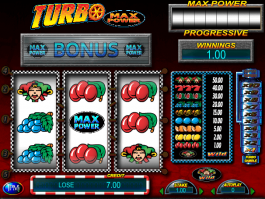 Want to try your luck at a classic-themed slot machine that comes with some additional twists? 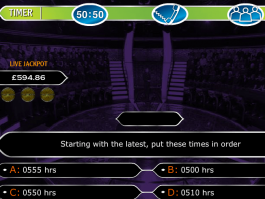 Play KerChing, JPMi’s online slot machine with 3 reels and 3 paylines. 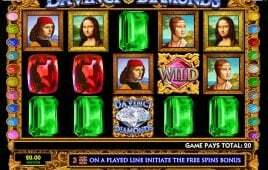 This slot can give you more than your expectation, as its cash-rich icons and interesting functions like Hold and Nudges can fill your kitty in a minute. 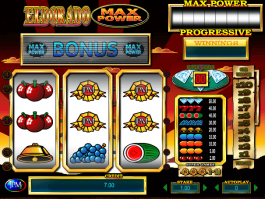 This game has been developed to impress slot lovers who like high-quality graphics and special effects. 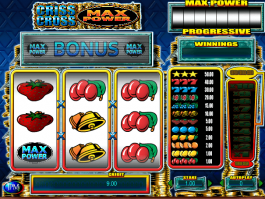 Cherries, single, double and triple bars, JPM logo and red seven are the icons that can help you to secure prizes through combinations of identical symbols. The JPM logo is the best-paying regular icon, and it can pay you 350.00 coins if you can bring three JPM logos in line with 5.00 coins stake. 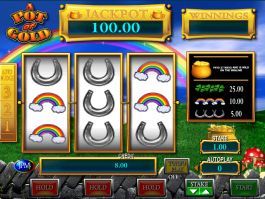 The online slot game also features a mechanical-slot-type symbol, and if you manage to bring three of the icons in a row, it awards you KerChing. 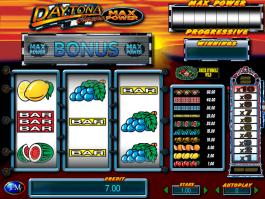 The Hold and the Nudges functions are also there to enhance your winning possibilities. You can play the game using the Turbo Play button for a quicker gaming experience. 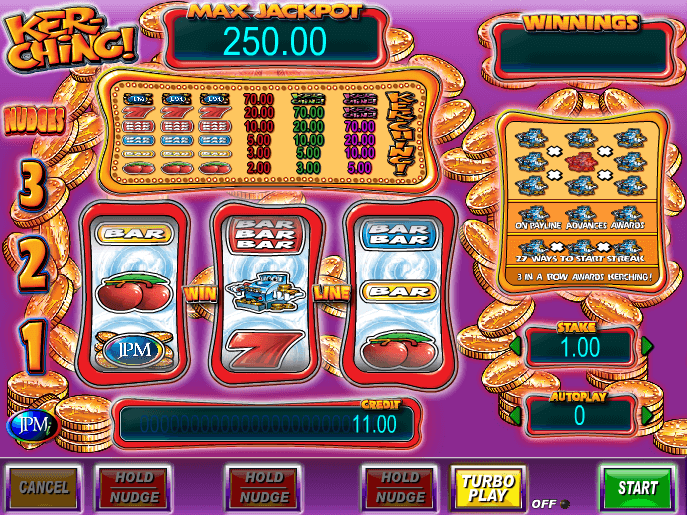 KerChing is a feature-packed classic-themed online slot machine. It gives you chances to secure some awesome rewards using its cash-rich icons and interesting features and functions. Play with the maximum stake for best benefits.